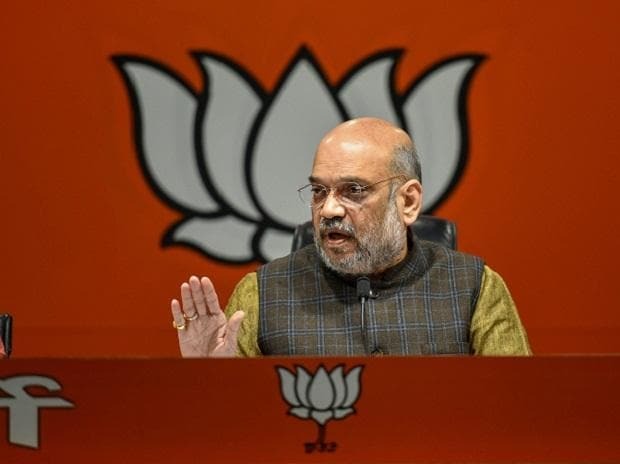 BJP president Amit Shah will launch the party's poll campaign after the Lok Sabha election schedule was announced with a rally in Agra in Uttar Pradesh on Sunday, and its top leaders will hold rallies in every constituency across the country till Tuesday. Asserting that national security plank will figure high on the party's 'Vijay Sankalp' (Pledge for Victory) rallies planned for Sunday and Tuesday, senior party leader Mulkhtar Abbas Naqvi said the BJP will launch "ground strike" against "abusers of security forces". Union ministers Rajnath Singh, Nitin Gadkari, Sushma Swaraj, Ravi Shankar Prasad, Piyush Goyal, J P Nadda, Dharmendra Pradhan, Nirmala Sitharaman, Smriti Irani and other party leaders are scheduled to address rallies on Sunday and Tuesday, Naqvi said. Many senior leaders, who are contesting the elections, will also address public meetings in their respective constituency. Naqvi, who is not in the fray, will address rallies in Rampur and Amroha, former Madhya Pradesh chief minister Shivraj Singh Chauhan in Bhopal and Puri and Uttar Pradesh Chief Minister Yogi Adityanath in Varanasi and Gandhinagar. Naqvi said the BJP will share the details of the work of the Modi government, which he added has been committed to the country's development and pride, in these rallies. "We will also caution people against the insult being caused to security forces by the Congress and other opposition parties," he said.